2. 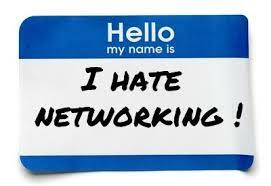 Inbound Connecting: Do you dread the typical networking events with a room full of strangers and a glass of bad wine? Mulcahy tells you how to skip those events and instead apply the digital marketing approach of inbound marketing – writing, speaking, or hosting. Speaking and Hosting might sound daunting, but Mulcahy makes them easier. 4. The Offer and The Ask: Networking is full of offering and asking. This section is brilliant because Mulcahy defines what’s a good and a bad offer (and ask.) The example of a bad offer – “Let me know if I can do anything to help.” – and a bad ask – “Are you free to grab lunch or coffee? I’d love to pick your brain.” are two of my pet peeves. Mulcahy gives a better approach. 5. Asking for an Introduction: This section is equally brilliant because Mulcahy addresses the common problem of people not knowing how to ask for an introduction. Mulcahy tells how to respect the introducer’s time, effort, and social capital. For anyone who needs to network, if you only read Chapter Four, it is well worth the price! And if you are in the gig economy, the rest of the book is equally useful. And please consider buying the book at your local neighborhood bookstore or from someone other than Amazon. It’s available at Barnes and Nobel. I am a professional interim CEO or COO. Since 2000 I have completed over 20 interim roles in the US and abroad, from pure startups to companies with $25 million in revenue. I am an agent of change, helping companies get started, restarted, or grow to the next level. Recent Post: Workbar Gig Finished; Perfect Example of When A Founding CEO Should Hire an Intrim COO. Nine Reasons Why Your Startup Needs a Mysterious, Unsung Hero — an Interim COO. This entry was posted on 4 March 2018 at 12:18 PM and is filed under A Better Way?, Amazon, Change Agent, Desmond Pieri, Diane Mulcahy, Hate Networking, Inbound Connecting, Networking, Outbound Connecting, The Gig Economy. You can follow any responses to this entry through the RSS 2.0 feed. You can leave a response, or trackback from your own site.